The morning of the race, the temperature was 3 C. About the borderline between short sleeves and long. I checked the weather again. It was windy. More than a little. I was still feeling sick. Long sleeves it is. A half marathon normally isn’t a big deal - only about as long as my average training run. The fact that half marathon is the most-run race distance in the United States tells you something about how accessible the distance is to the average citizen of an overweight country. 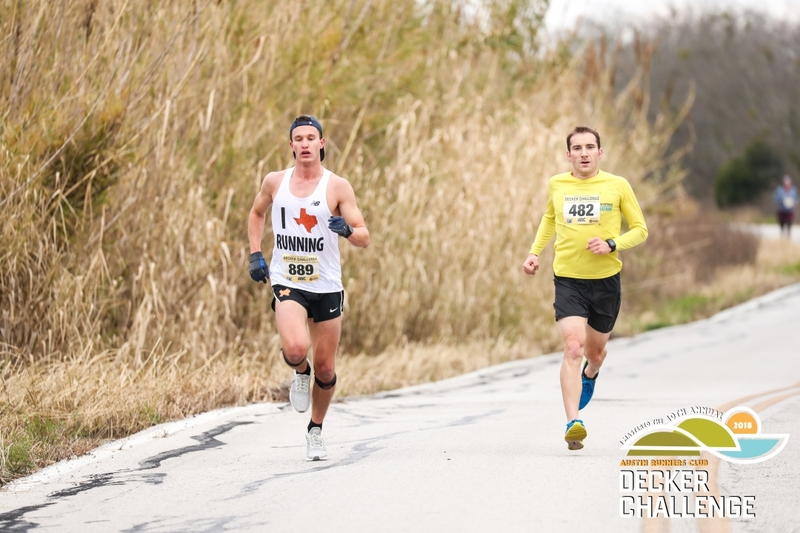 It’s running that distance competitively that can be difficult, particularly if there are as many hills as you’ll find around Decker Lake. I put on plenty of layers, went through a pre-race routine, and headed into the dark, cold morning on unlit country roads. Upon arrival, the sun still hadn’t come up. Luckily, there was a large indoor facility where we could wait inside before the race started. It wasn’t particularly warm, but at least it was out of the wind, which was worse than predicted. The loop course took you into the wind first thing, the middle of the race would have tailwind, and the last 5 km looked like it would be in a cross wind. It’s usually good to get the worst of it done early. 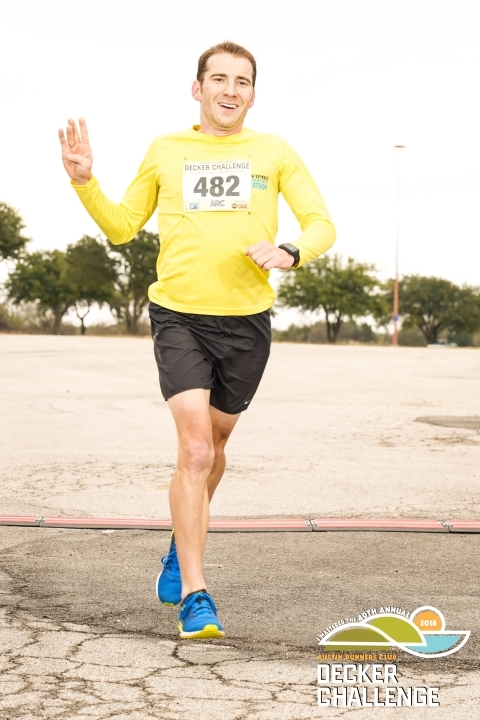 Aside from cold, I almost felt good as the race started. Luckily, there was a clothing drop-off about 10 minutes into the race, and we could pick up our stuff after the race. That meant I was able to wear gloves and a beanie at the start, then ditch them just as I was starting to warm up. For the first leg, I got behind a small group, including a tall guy, and let them block the wind for me. They were going a faster pace than I wanted, but it wouldn’t have been easier to fight through the wind on my own. After 8 km, the course took a right turn, putting us into what would’ve been a cross wind if there hadn’t been plenty of trees on either side of the road. Three of the guys in front of me immediately sped away. I was already working harder than normal, and I didn’t need them anymore, so I didn’t chase them. The rest of the race was mostly spent alone, pushing over and down rolling hills that seemed to get bigger as the race went on. Once the course turned again, giving us a tailwind, I could tell I was running faster, but it didn’t seem that much easier. Still, I was running well and on pace for a good finishing time. Then the course turned again. I hadn’t noticed, but the early headwind must’ve been coming in at an angle. While the course wasn’t going the same direction as it had before, the wind was just as bad, and now I was on my own. Despite my best efforts, my pace sagged. Then my legs started burning. I could no longer just try harder, at least not for more than a few seconds at a time. The best I could do was hang onto this pace, through the pain, and hope I hold out. I mercifully crossed the finish line in a time that was reasonable, but not my best. I immediately succumbed to an uncontrollable coughing fit, trying to assure the race volunteers I was OK while unable to form complete sentences. It wasn’t a total disappointment, but today wasn’t my day. The awards ceremony wouldn’t start for a long time, since they waited until well after all age group winners had finished. That meant a lot of time hanging out in a warehouse-like building, long enough to start getting cold again, even though we were inside. As a silver lining, the post-race goodies were the best yet! At least we had good stuff to munch on while we waited. 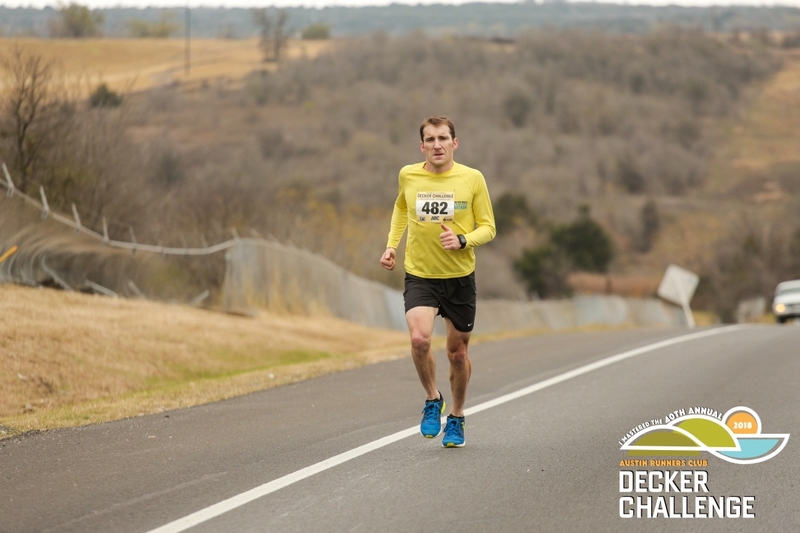 I placed 4th overall and won my age division, but gained less than a minute on the competition in the Austin Distance Challenge. I suppose it’s good knowing I can have a bad day and still come out ahead, but a margin that close makes you worried you might eventually get beat. I suppose it’s impossible to do your very best 100% of the time.